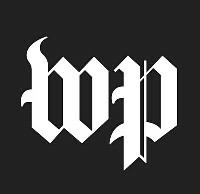 WASHINGTON –- (RealEstateRama) – The U.S. Department of Housing and Urban Development (HUD) announced today an agreement between a Nevada fair housing organization and the owner and manager of four apartment complexes in Reno, Nevada. The agreement settles allegations of housing discrimination against prospective tenants with disabilities who require assistance animals. Read the conciliation agreement. The Fair Housing Act prohibits housing providers from denying housing to people with disabilities or imposing different rental terms and conditions. This includes refusing to make reasonable accommodations in policies or practices for people with disabilities. The case came to HUD’s attention when the Silver State Fair Housing Council filed four complaints against the owner and manager of Silver Lake Apartments, Vale Townhomes, Oak Manor Apartments and Angel Street Apartments. These complaints allege ERGS, Inc. and Silver Lake Apartments, LLC discriminated against prospective tenants who required assistance animals by requiring applicants who required support animals to pay a pet deposit fee. In addition to the Fair Housing Act’s protections, HUD provided guidance in April 2013 reaffirming that housing providers must provide reasonable accommodations to people with disabilities who require assistance animals. Read HUD’s notice. Under the conciliation agreement, ERGS, Inc. will pay Silver State Fair Housing Council $20,500. ERGS, Inc., and Silver Lake Apartments, LLC, will also adopt a written policies that are consistent with the Fair Housing Act and provide fair housing training for all employees who interact with tenants or applicants. Disability is the most common basis of fair housing complaint filed with HUD and its partner agencies. 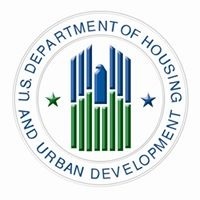 Last year alone, HUD and its partners considered over 4,900 disability-related complaints, or more than 58 percent of all fair housing complaints that were filed. People who believe they have experienced discrimination may file a complaint by contacting HUD’s Office of Fair Housing and Equal Opportunity at (800) 669-9777 (voice) or (800) 927-9275 (TTY). Housing discrimination complaints may also be filed by going to www.hud.gov/fairhousing, or by downloading HUD’s free housing discrimination mobile application, which can be accessed through Apple and Android devices.